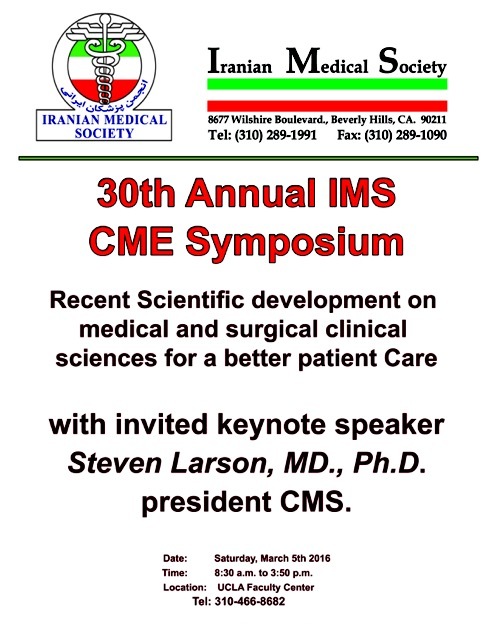 Iranian Medical Society 30th Annual CME Symposium .Keynote speaker: Steven Larson MD. PhD . 8:30 am to 3:30 pm at UCLA Faculty Center. information: 310.466.8682 .